Mitchell Santner. Matt Henry. Kyle Abbott. Talk about shrewd overseas signings. On paper, they were as good as any of the best coups other counties had, but the pleasantries end there. Director of Cricket, Steve Rhodes’ oracle can be forgiven for not detecting a fractured finger for Santner and Abbott’s dip in on-the-pitch form. Only Henry could leave New Road with his head held high. It was always evident that to complement the talented young set up and push for a strong case of promotion, the skill input of an overseas player was paramount for the Pears. Worcestershire’s set up would have been as much pleased as Abbott when he was called up for national duty, for a train wreck was an understated judgement of his time by the River Severn. The replacement, Miguel Cummins, was a sensation and probably the main reason Worcestershire finished 3rd in the end. His breath-taking spell at Hove to take Pears home by 11 runs will stay the test of time for most. They have already signed John Hastings for next year, but, and this probably is my gut taking over, it would be well worth signing a West Indian fast bowler for the entire campaign. Before Cummins, Shannon Gabriel did the same and the overriding feeling was that if they had time they would have kept them up and got them promoted respectively. With one side getting the golden pass to Division One, and Essex being far stronger than other teams, it was always going to be a tall ask. First five matches being drawn due to weather never helped and it ensured they had to play catch up. Natwest T20 Blast was a bitter disappointment and qualifying for the quarter finals of Royal London Cup almost seemed like a loss because the performance was so average compared to the fruitful run they had to qualify. While getting promoted should be the priority, setting aims high for the Blast and One Day Cup has to be looked at not only in press rooms but in actual fact. Rapids need to have a real hard look at themselves in limited overs formats and get better because they are capable of what Northants have churned out with the talent pool they have. The allure of a home quarter final, a finals day has to be seriously considered. It didn’t help that no batsman apart from peerless Joe Clarke were able to last the season without stagnating in patches. 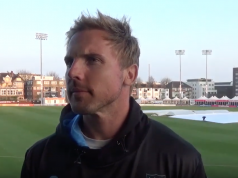 Ben Cox has been tireless behind the stumps though and at number seven he has become Worcestershire’s man for a crisis as he has played some delightful knocks which can go under the radar to rescue the side. It would be a worthy gamble if he can be pushed up the order to see whether he can handle the burden. Tom Fell returning from his battle with cancer was a highlight which drew many headlines and it’s testament to him as much as his return that he was able to find his feet immediately. 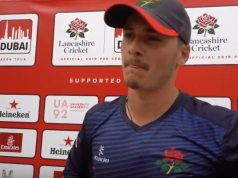 The season however can be summarised by the trajectory of Tom Kohler-Cadmore, who hit a destructive hundred in the opening day of the Natwest T20 Blast but ended up not being able to buy a run, lot can be punted on promise but little too short to reach stardom. It was a marginal call between Leach and Clarke but Leach edges it due to the sheer amount of sweat he has dropped in being the premier all-rounder of the side. He has had a major influence in most of the matches the Pears have won and has put himself forward as the man they would turn to whenever something needs to happen to resurrect a situation. Elevated to open during the latter parts of the shortened formats, his versatility is on another level. 67 scalps in Division Two to go with 20 victims in Natwest T20 Blast, harmonises with the 620 Championship runs he’s made. Be it the blistering knocks by him in thrilling and successful chases on the fourth days at New Road against Leicestershire and Northamptonshire or the carnage he caused at Headingley (63 off 35) opening the batting and the constant stream of wickets, Leach has certainly established as the benchmark for the side. Rewarded with the captaincy for next year, would be interesting to see how he handles calling the shots. D’Oliveira was one of those who showed great promise but never really delivered when it mattered. 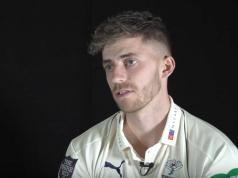 Positional change at the end of 2015 by batting coach Kevin Sharp saw him open the batting and it led to a breakthrough year this time around where the 24 year old took the county circuit by storm in the early parts. Three centuries followed an England Lions call up, but a barren run towards the end suggested his challenge for the next season would be to sustain the form through the spread of the season. Nobody will question his greater maturity though, especially the ones who witnessed his match winning 62 not out in a tense Natwest T20 Blast chase in the derby against the Birmingham Bears at Edgbaston. Whiteley was unstoppable in 2015. He earned a place in England Winter Development squads by the sheer trepidation he inflicted on bowlers minds. However, this year has been a struggle and he never hit the ground running fully. A helter-skelter 41 not out against Birmingham Bears at New Road in a winning effort was a rare foray into his undoubted skills but 581 runs at 27.46 in the Championship and nothing significant compared to the standards he set the previous year could well mean that he had let his England chances sail by. Need to work on: How to get out of a problematic scenario with minimal damage. When they are on a roll Worcestershire are indomitable but when they suffer the odd defeat, the recoveries take time. They lose lot more matches in the transition than they should have and finding a way to get back to winning ways quicker is something they highlight in their agenda next year. There’s an air of disruption with the removal of Mitchell as the captain, with the opener releasing a statement stating that he had been hurt by the sacking. It leaves more to ponder on a disposition which could have been handled lot better. Leach is the obvious choice to take over the baton, and the fact that he was instilled as the vice-captain the season before hints at a nexus, Director of Cricket Steve Rhodes had planned well in time. Worcestershire’s greatest battle would be to keep hold of the disconnected Mitchell, because after a poor start to the season he showed his mettle by passing the 1000 runs mark yet again with a late flurry. This was another season where they threatened to break the code in limited overs competitions but failed. A Royal London quarter final is nothing to scoff at, but a Lord’s final or a Finals Day at Edgbaston evades them year after year with unerring precision. Promotion was always an uphill task with only one team going up, the fact that they gave it a sniff until the end deserves credit.